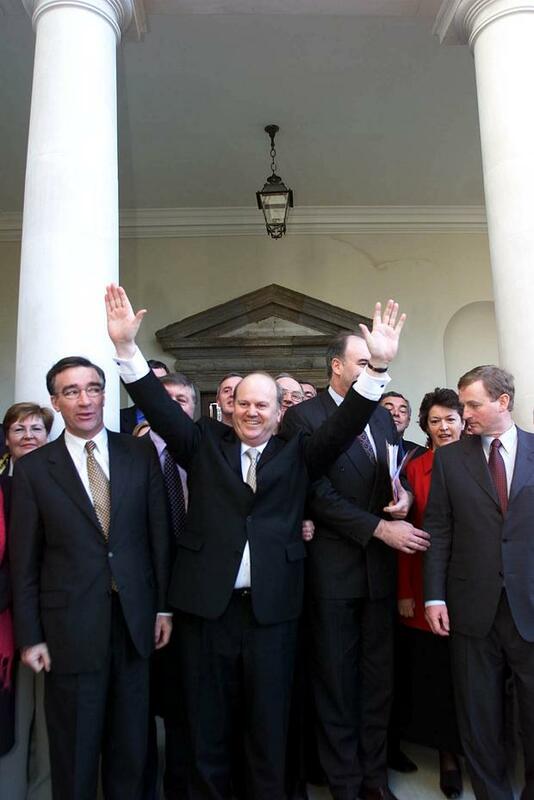 Michael Noonan had led Fine Gael to its worst electoral calamity since 1944 when he told the nation on May 18, 2002, that he was quitting as party leader. Just four days shy of his 59th birthday, it was reasonable to assume that this was the beginning of the end in politics for the former schoolteacher, who had served two stints in cabinet, and never shrunk from controversy. Anyone suggesting that he would be a major figure in Irish government 15 years hence would have been dismissed out of hand. Added to these apparently terminal political reverses was the emerging gradual loss to him of his glamorous wife, Florence, who was increasingly losing her faculties to Alzheimer's disease. The extent of this private grief did not emerge until 2012 in a very moving television interview when he was finance minister working to lead Ireland's economic revival. 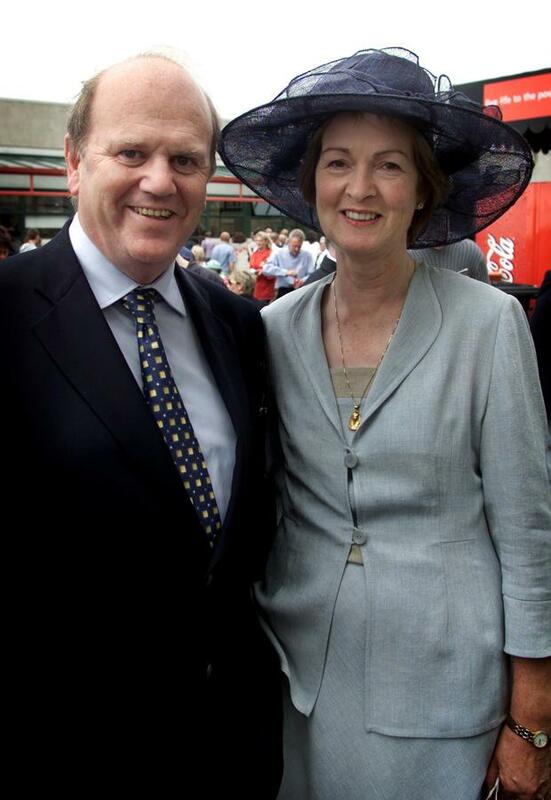 In summer 2002, Enda Kenny gave his former political foe, with whom he had quarrelled bitterly, some space to do what he had to do on the family front. Later in 2004 Mr Kenny gave Mr Noonan the biggest plum in his gift as opposition leader, the chairmanship of the Public Accounts Committee. But extraordinary events surrounding the botched heave against Mr Kenny's leadership in June 2010 saw Mr Noonan re-emerge as finance spokesman in a Fine Gael party suddenly also on its way back to government. 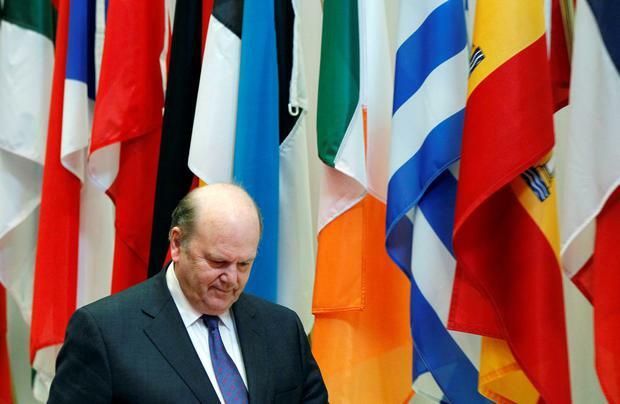 On March 9, 2011, he became finance minister and was preparing to lead Ireland out of a bailout and recession and back to economic health. His political reinvention was driven by the accident of events, mixed with his own political skill and considerable toughness. This story has few parallels in modern Irish politics. His longevity has also been remarkable: next Tuesday he will celebrate his 74th birthday, was first elected to Dáil Éireann on June 7, 1981, and returned at all of the 11 elections since then. Mr Noonan was the son of a principal schoolteacher from Loughill, on the Shannon Estuary, situated on the Limerick side of the border with Kerry. He qualified first as a primary teacher at St Patrick's College, Drumcondra, and later as a secondary teacher at UCD. He and his wife Florence first met in Dublin but moved to Dooradoyle on the edge of Limerick city in the early 1970s. He taught at Crescent College Comprehensive, and the couple and their five children lived in nearby Gouldavoher Estate, which is still the family abode. That Limerick city suburb was still in the county when he was elected to Limerick County Council in 1974. He was originally tipped for the rural constituency of Limerick and likely to succeed sitting party TD, Willie O'Brien. But boundary shifts moved him to the city constituency, a tough cauldron of politics which produced character politicians from all parties who became national household names. There was keen internal competition with former Gaeltacht minister Tom O'Donnell of Fine Gael, and outside with Fianna Fáil dissident founder Des O'Malley, and the political phenomenon that is Willie O'Dea, along with Labour's colossus Jim Kemmy. Limerick politics is rarely, if ever, dull and Mr Noonan was certainly learning tough local lessons. But amidst these people, he was soon able to hold his own while also trying to keep a certain focus on national politics. He always got elected but only on occasions with a major vote. And his remark after a long count in Limerick in the 1990s sums this up. He was asked by one journalist why he could not rack up Jim Kemmy's record score. "Don't talk about others' big votes. Take Jim Kemmy, he represents the Dáil in Limerick, while I'm trying to represent this city above in the Dáil," he shot back. It sums up a recurring dilemma for many under the current system, where those who devote unduly to national affairs become known as "former TDs". Over the years, it was clearly shown he had learned some skills in this political cauldron. Locally, he appeared to have a knack of knowing when to hang back from local polemic, and then when to wade in. He made his mark very early on at a national level. 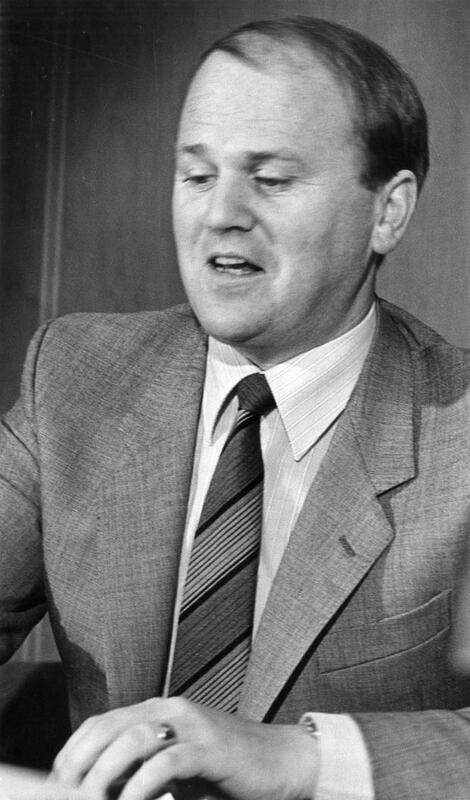 In 1983, as a newly appointed justice minister in Garret FitzGerald's Fine Gael-Labour coalition, it fell to him to announce the controversial details of telephone tapping by the previous Fianna Fáil administration. Soon he was engaged in other controversies, notably a very public conflict with the Prison Officers' Association which was on a big campaign to improve pay and conditions. He later served as industry and commerce minister before that coalition was ousted by Charlie Haughey's Fianna Fáil in February 1987. A later ministerial experience, as health minister in the 1994-1997 Rainbow Coalition, ultimately turned out to be a deeply unhappy one. A long-running controversy about contaminated blood supplies, and the extraordinarily harsh treatment of some of its victims, left a damaging political legacy. Its ramifications confounded his difficulties in the May 2002 electoral meltdown as leader of Fine Gael. The broadcast timing of an RTÉ drama on the subject, in the run-in to that 2002 General Election, caused a furore and the issue still rankles with many party stalwarts to this day. 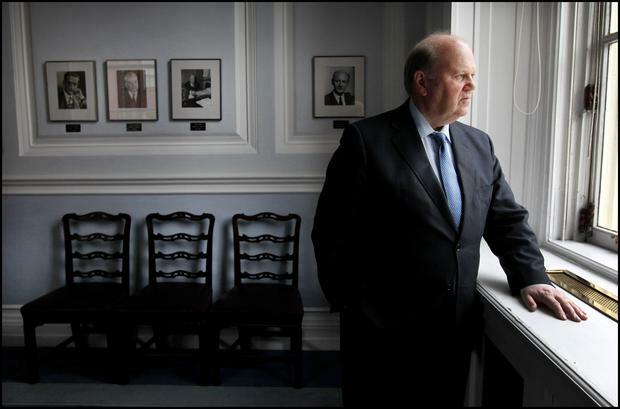 Mr Noonan had ill-concealed aspirations to lead Fine Gael in the early 1990s. But little happened until February 2001, when he, in cahoots with the late Jim Mitchell, finally ousted John Bruton from the Fine Gael leadership. Mr Kenny was a staunch Bruton defender and stood unsuccessfully against Mr Noonan for the leadership. Afterwards Mr Noonan did not appoint Mr Kenny to his frontbench. As detailed earlier, Mr Kenny took a more pragmatic view a year later when the shoe was on the other foot. That was of mutual benefit to both.